You will need a separate google account for the head office and for each branch (Note: All accounts are free). Create a gmail account for the head office and each branch at www.gmail.com (You can use existing accounts). Log into your gmail account created for the head office computer. 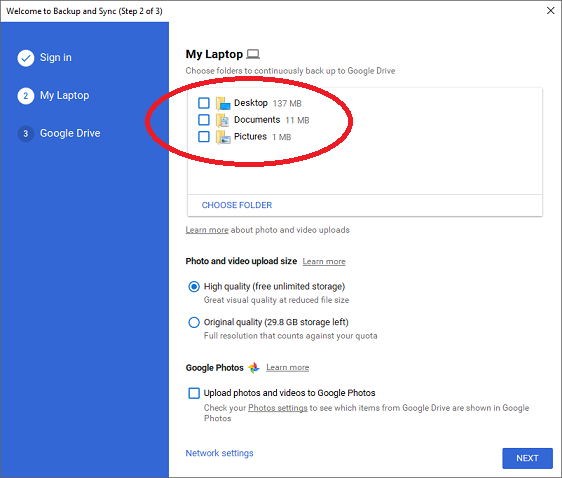 Click on the Apps icon (top right) and select Drive. Create a 'Branches' folder and then create a folder for each branch. Right click on each branch folder and select 'Share'. Type the email account you created for that specific branch. 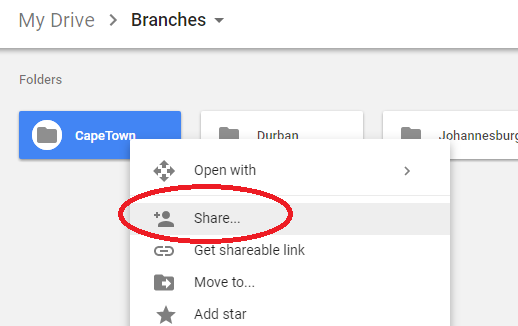 Share each branch folder with the gmail account for that branch - It is important that you only share a branch folder with that specific branch. 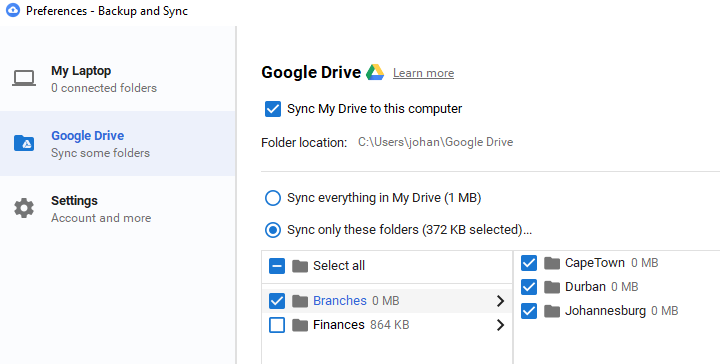 At the computer you will use to manage the branches download and install Google Backup and Sync. Select the branches folder you created. Make sure that each branch folder is also selected. 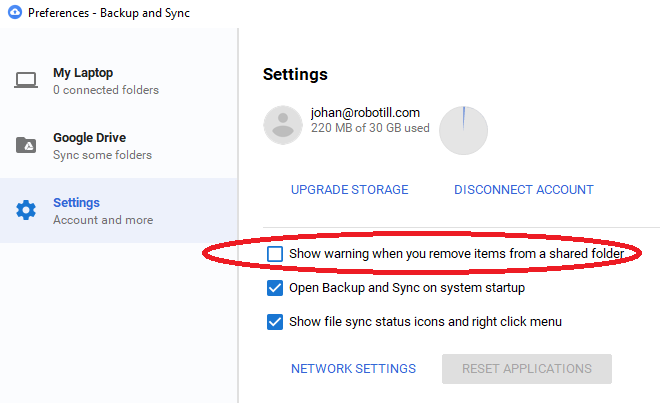 If you need to add more branches at a later stage you can open 'Backup and Sync' from your system tray, select 'Preferences' from the menu and add more folders.